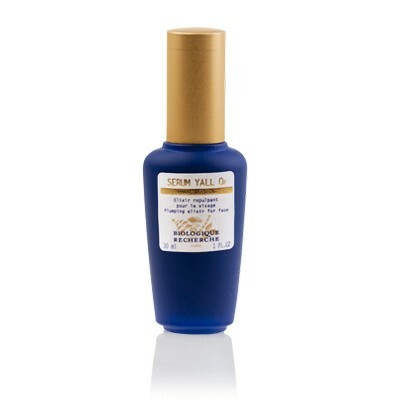 This serum plumps and hydrates the skin, creating fullness in the face and lips. It is great for deep lines, wrinkles, and reinforcing elasticity. This is best paired with Serum Fluid VIP 02, and for more mature skin, Crème MSR-H. This serum’s innovative formulation based on nano-technology and oxygenating vectors provides intensive treatment and instant effects which are prolonged with regular application. This replumping elixir makes the skin visbly younger. Apply a few drops of Sérum Yall O2 to the eyes contour, the whole face, neck, cleavage and lips in the morning and/or evening.This product is applied as the finishing touch to your Biologique Recherche skin care program.